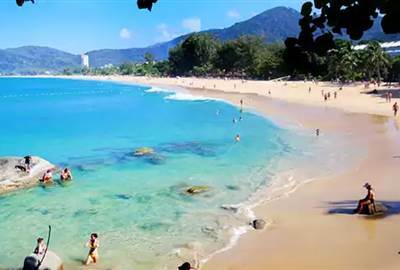 Thailand’s largest Island, Phuket, is one of the world’s hottest tourist spots. With stunning beachlines and a relaxing atmosphere, Phuket is definitely a must go for anyone that craves the soothing and calming effect of the tropics. Enjoy the beaches of Phuket. Indulge yourself in the wonders of the sea that is right on next your doorstep. Phuket is also home to night markets which lets you enjoy Thailand’s culture at night, when your energy is high and the crowd is welcoming. 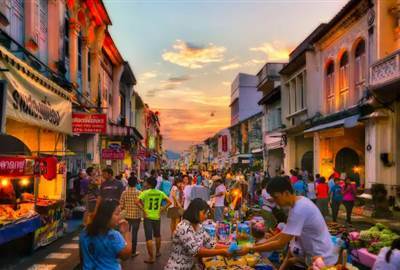 Enjoy a wide array of food and product stalls in Phuket’s night market bazaars. 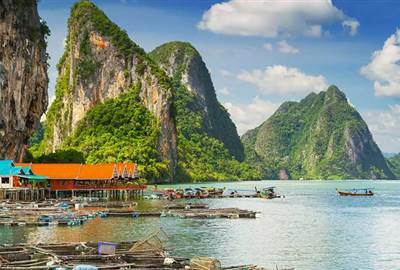 This island is also home to some places that offer Thai cuisine lessons. Enjoy sumptuous Thai food while learning to cook them. Phuket offers tourists and locals the experience of exploring the mountainside on top of an elephant. This is a one of a kind experience you should not miss. Never forget to get to know the Thai culture during your stay. Nothing is better than being able to grow in a new culture every time. 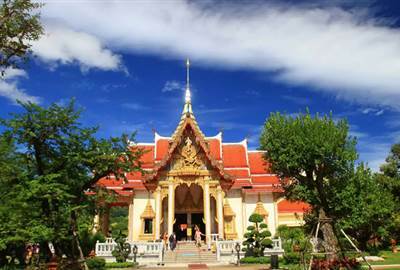 Here we have compiled some of the places that you must go to when in Phuket. Remember to include them in your itinerary! The two notable places along the bay are the Bond Island with its signature rocky pinnacle and Koh Panyee village which is built on stilts over emerald-green waters. The spectacular scenery will take your breath away. 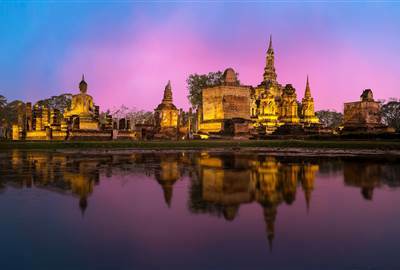 A historically rich part of town with century-old homes that are now boutique guesthouses, shrines, temples both Buddhist and Chinese, and private and public museums make up the Old Phuket Town. 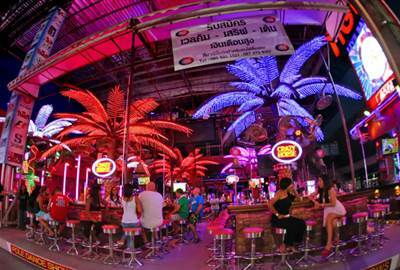 Once the sun sets the nightlife really comes to life with outdoor bars, clubs, go-go bars, and ladyboy cabaret shows. The 45 meter tall white marble statue and you can even leave a small marble time with a message on it inside. This spot offers the best 360-degree view of the island. 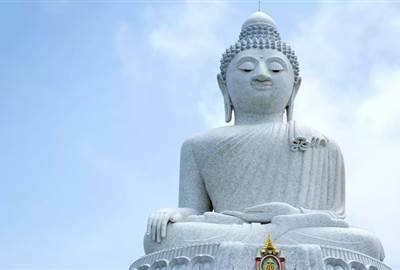 Wats are Buddhist temples and in Phuket alone there are 29 Buddhist temples the largest ofwhich is Wat Chalong. People come to pray and pay respect and to view the temple grounds from the top floor terrace. Serving West Coast Cuisine the destination bar and grill is unique in décor and has an intimate ambiance. Enjoy the food with mellow jazz and lounge music playing in the background. 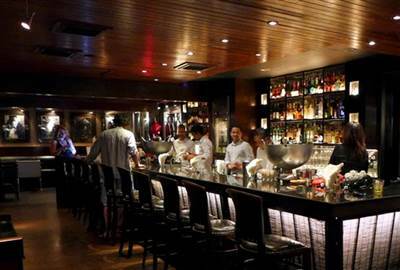 Barely noticeable from the outside, this popular restaurant bar has a savory Thai menu. Come night it turns into a dance bar and things get a bit wild. 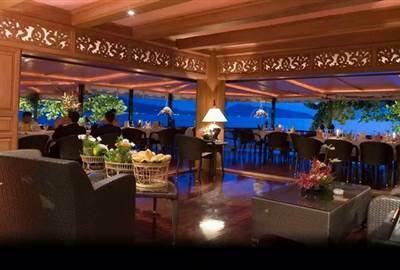 With a sumptuous Italian cuisine and breath-taking views of Patong Bay a meal here would complete your dream stay. 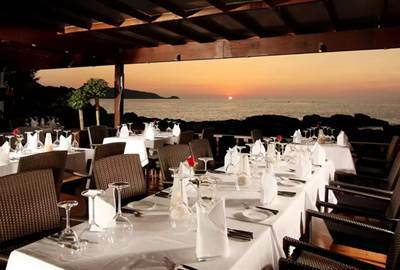 La Gritta Phuket has the finest contemporary design and a beachside dining terrace. 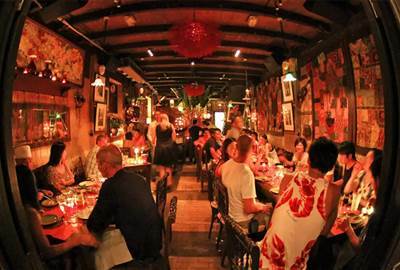 One of the finest in contemporary Italian cuisine is also romantic dining experience. A beautiful seaside location just a few feet from the soft crashing waves. 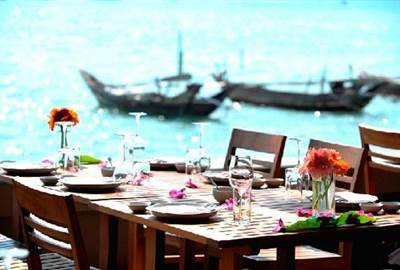 A Chinese-Thai seafood restaurant with a stunning view of the marina overlooking Chalong Bay where you can dine al fresco. 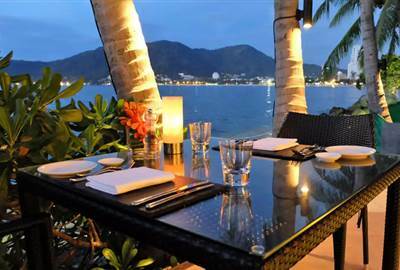 Enjoy a Thai style dinner on an amazing waterfront location. Getting a chance to try the dishes only once served in Grand Palace of Thailand is an experience that shouldn’t be missed. 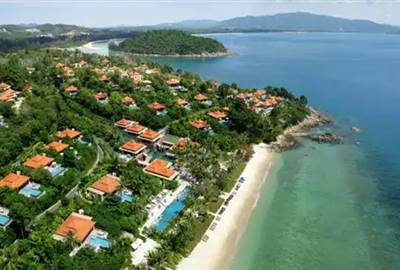 With panoramic views over Patong Beach and a gentle breeze you’ll truly feel the Phuket experience. 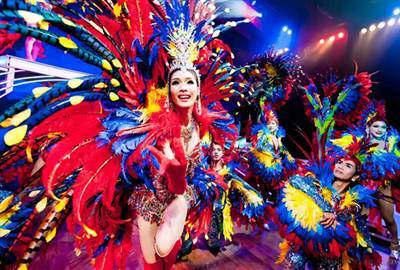 A show you won’t forget is the Simon Cabaret featuring glamorous transsexuals or "ladyboys". The extravagant musical floor show is an international one so don’t miss out! Whether you are looking for a traditional cuisine served on a platter, or just some grub to fill your tummy, these food shops are sure to satisfy your cravings.